Selamatkan Yaki talks at the UNSRAT university, Manado! In the week of September 24th -28th, the Selamatkan Yaki team gave talks at the UNSRAT University in Manado! On a Tuesday afternoon, our volunteers Lynne and Thirza headed for the Campus gates of the UNSRAT university. Here they were joined by Selamatkan yaki’s Education Officer, Junita Siwi, to discuss which Nature Lovers’ Club to visit first. Amazingly, nearly every faculty of UNSRAT University has a Nature Lovers’ club! The members of each club meet up almost every day after the lectures and participate in meetings and several outdoor activities (such as climbing, rafting, and survival trips into the forest). Additionally, the clubs provide the students with a nice place to hang out and socialise. The first club to welcome us was the MPA Asterioda, Fakultas Peternakan (Faculty of Animal Husbandry). This group of eleven people were very friendly and gathered around the projector while listening to our talk about Selamatkan Yaki. 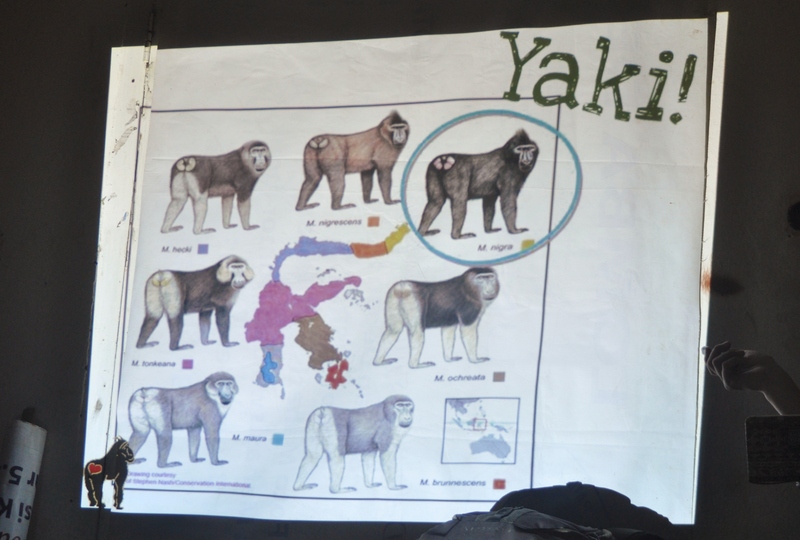 In our talk we introduced the project Selamatkan Yaki to these students by explaining who we are, what we are currently doing as a conservation project and what our plans are for future activities! Inspiring students at the MPA Asterioda, Fakultas Peternakan (Faculty of Animal Husbandry)Sulawesi, in particular North Sulawesi, is an area with extreme biodiversity. Sulawesi has a very high percentage of endemic plants and animal species that are found nowhere else in the world, such as the Maleo, Anoa, Babirusa, Kuskus and Tarsier! Around a quarter of all bird species are found here as well as approximately 2/3 of the mammals. Out of 600 primate species in the world there are 22 species of macaque and 7 of those are only found in Sulawesi, all of which are threatened with extinction. To the best of our knowledge, the most threatened are the Macaca nigra who are only found in North-Sulawesi. 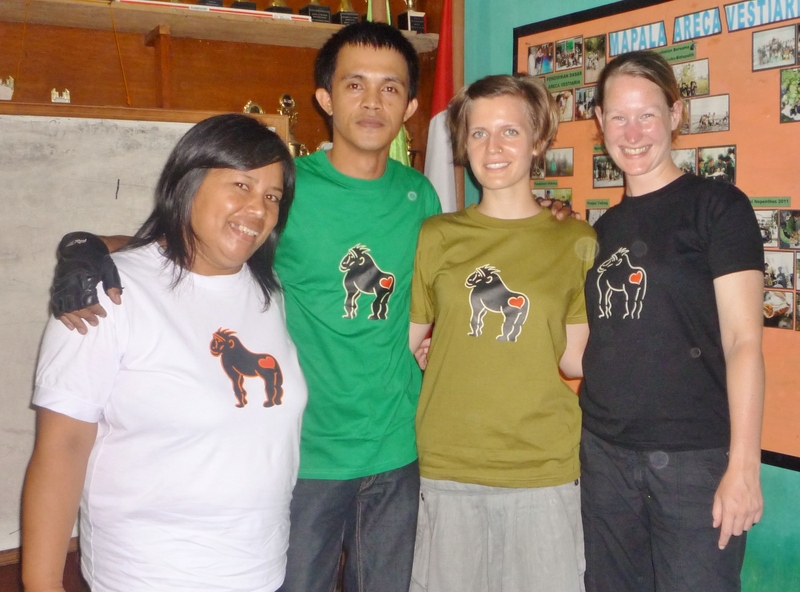 We are realizing that conservation research in Sulawesi hasn’t received the same attention as other parts of Indonesia. And this is why we would like to increase our efforts to protect this special area with all its richness. We hope to team up with the students of the UNSRAT University and join our efforts to conserve this unique area! We sold our first t-shirts at MPA Areca Vestiaria, Faculty of Agriculture! Terima kasih banyak Vian and Novy!!! 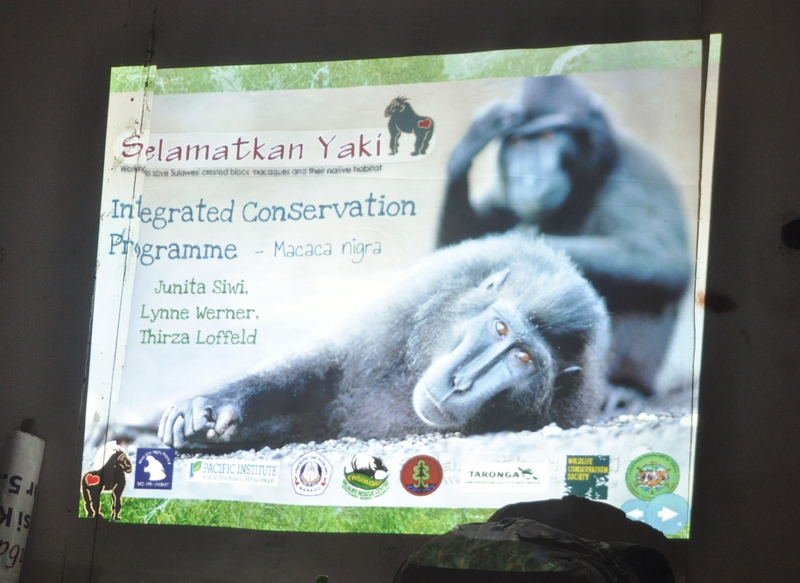 We would like to thank the three Nature Lovers’ Clubs very much for their time and for giving us the opportunity to meet them and tell them about the Critically Endangered black crested macaque (Yaki) and our project Selamatkan Yaki that aims to protect these special primates and their habitat! Furthermore, special thanks to Dr Johny S Tasirin for inviting us to give a talk about SY to his students of the biodiversity class. It was a privilege to stand in front of the class and having such an interested audience: teachers and students alike!